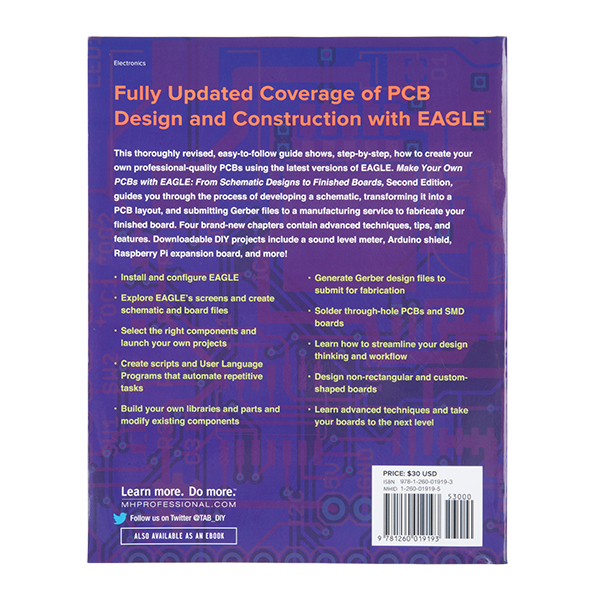 This thoroughly revised, easy-to-follow guide shows, step-by-step, how to create your own professional-quality PCBs using the latest versions of EAGLE. 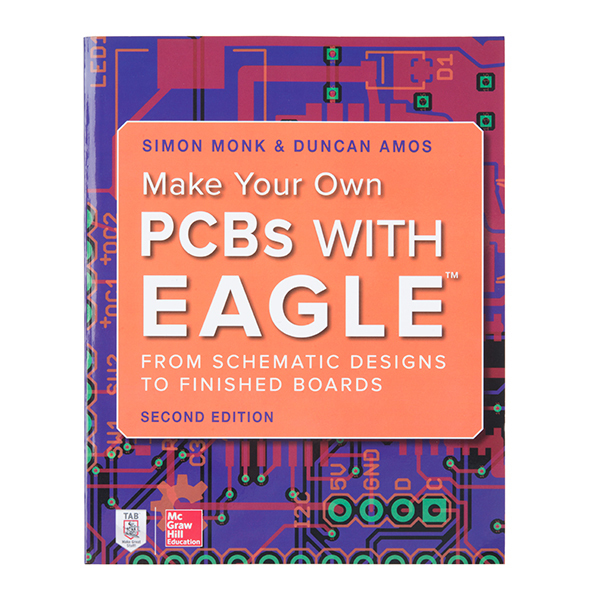 Make Your Own PCBs with Eagle: From Schematic Designs to Finishd Boards, Second Edition, guides you through the process of developing a schematic , transforming it into a PCB layout, and submitting Gerber files to a manufacturing service to fabricate your finished board. Four brand-new chapters contain advanced techniques, tips, and features. Downloadable DIY projects include a sound level meter, Arduino shield, Raspberry Pi expansion board, and more! Explore EAGLE's screens and create schematic and board files. Select the right components and launch your own projects. Create scripts and User Language Programs that automate repetitive tasks. 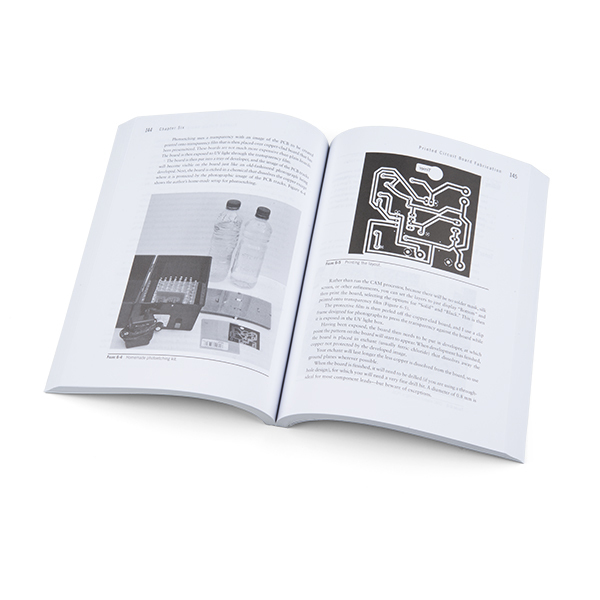 Build your own libraries and parts and modify existing components. Generate Gerber design files to submit for fabrication. Solder through-hole PCBs and SMD boards. Learn how to streamline your design thinking and workflow. Design non-rectangular and custom-shaped boards. Learn advanced techniques and take your boards to the next level.